As a kid, it can be hard to really know who you are. Are you the cool kid? The Star Trek watching nerd? The pretty one? The smart one? A jock? We as adults know that it doesn’t matter if kids think they fit in a certain clique. They are pretty awesome no matter what they do. But your daughter isn't a kid any more (at least to her). She wears make-up now. Tells you about the boys she likes at school, and in movies. She keeps asking to get a bikini bathing suit. You like that she is growing up, and having opinions about things (even if you wished she would play One Direction a little quieter in her room), you even like that you get a little bit more freedom than when she was little. 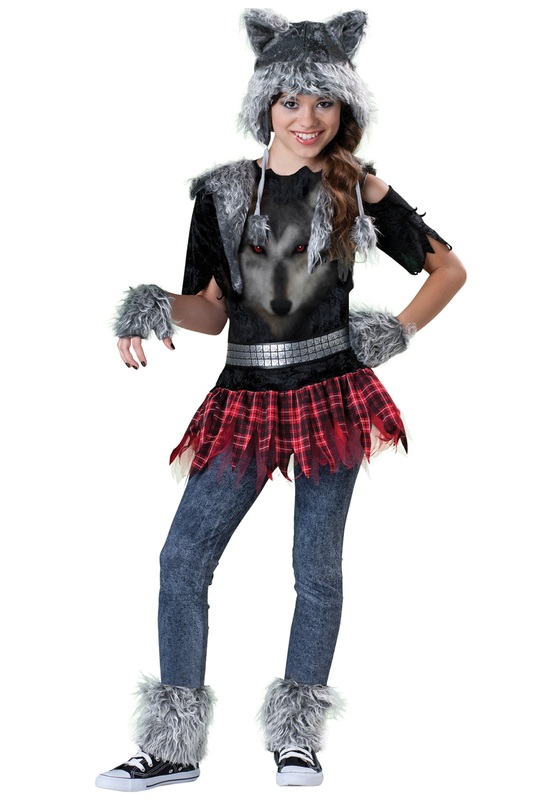 So this Halloween when she comes to you, and says she is feeling a little wolf-y, don't panic. She is just trying to figure out who she really is. If you want to help her on her self discovery journey, get her this Tween Werewolf Costume, and watch as she runs off with the friends she was worried about making. Her howling costume will leave her able to easily switch between clicks. The jocks will love her active wolf-y side, the nerds will love the wolf at school, and her best friends will just love her for her.